Study Social Studies or Early Childhood Care & Education At CCFE and Become a Home Economics Teacher Through The New Link Between CCFE And St Angela’s College Sligo & NUI Galway. On Monday 16 April 2018, Mary Mitchell O’Connor, Minister of State for Higher Education, formally launched the St. Angela’s strand of the “Access to Post-Primary Teaching (APT) Project” at St. Angela’s College, Sligo. The APT Project is a three-year joint initiative between St. Angela’s College and the National University of Ireland Galway, which aims to recruit and support individuals from under-represented socioeconomic groups in their initial teacher education programmes. This project, which targets students at the school, further education, undergraduate, and post-graduate levels, is spearheaded by Dr. Eileen Kelly-Blakeney of St. Angela’s College, and Dr. Elaine Keane & Dr. Manuela Heinz of NUI-Galway. The APT Project at St. Angela’s specifically focuses on recruiting students with a Further Education QQI/FET qualification to their second-level teacher education programmes and is presently being conducted with Castlebar College of Further Education, and four other Further Education providers in the Border-Midlands-Western (BMW) Region. During the next two years, the Project hopes to create additional partnerships with more Further Education providers in the region. 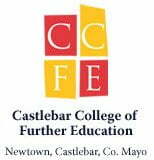 Castlebar College of Further Education was established in 1998 and is Mayo’s premier provider of Further Education. The student population is made up of a mix of both young and mature students – all with a diverse range of life experience behind them. Highly qualified, dedicated and supportive staff give the best possible opportunity for each student to meet his/her full potential. Students who transition into the teacher education programme at St. Angela’s will all study Home Economics, in addition to one elective subject of their choosing, either Irish, Biology, or Religious Education. Students are also provided with a €1000 equipment bursary on entry to Year One, and a €500 School Placement grant each of their five years of study. Additionally, students receive faculty mentoring, peer support, academic writing, and subject specific guidance. In attendance at Monday’s launch were the President of St. Angela’s, Dr. Anne Taheny, staff and students from the college, local government officials, representatives from each of the five partner Further Education providers, colleagues from NUI-Galway, and associates from the Irish Teaching Council. In her speech, Minister O’Connor noted the significance of direct-entry routes, such as the APT Project, which ultimately aim to increase access to third level studies, while also acknowledging the great achievements made by students in the Further Education sector. As the Minister explained, the APT Project, ‘will also help support the achievement of national policy objectives to broaden opportunities for graduates from further education to progress on to higher education.” Additionally, she also remarked on the important role that teachers play in the lives of young people, and she projected that “Teacher training centres, teachers and school leaders will continue to play a pivotal role in helping children to achieve their potential’. This project supports the diversification of the Irish teaching body in Ireland and recognises the positive contributions that teachers from under-represented groups make to classrooms throughout the country each day. For more information on the APT Project, or to learn more about St. Angela’s initial teacher education programmes, please see the College website at: http://www.stangelas.nuigalway.ie. Additionally, interested individuals can contact the post-doctoral researcher for the APT Project, Dr. Andrea Lynch at 087-112-9868.